Treaty Oak is a Texas distillery founded in 2006 near Austin with a story so familiar that I’m getting tired of repeating it on this blog. 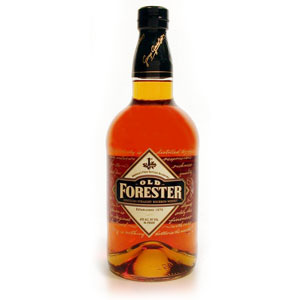 An upstart distillery, not enough startup capital, long time to wait for whiskey to age, blah blah blah. These guys added a clever twist by branding their “get sourced whiskey to pay the bills” bottlings under the “Red Handed” moniker. In other words, they stole somebody else’s whiskey. Yuk yuk. Thankfully, this review is of a “grain to glass” bottling of the distillery’s own output called Ghost Hill. I reviewed the Red Handed Bourbon in a previous post, with the same opener (sue me, I’m lazy). I liked the bourbon quite a bit. The rye (which sports a 10 year age statement) I found to be less successful. I’m a sucker for nerdy whiskey facts, so I was excited to see the fact sheet that arrived with these samples. 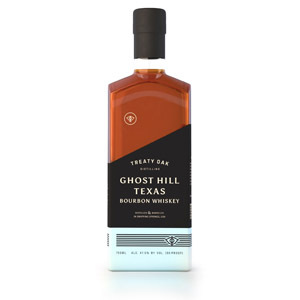 Ghost Hill is a “wheated” Texas bourbon at 2 years of age using 53% Texas No. 1 corn, 36% Texas wheat, and 11% American barley all milled at nearby Barton Springs Mill. The corn and wheat are heirloom grains grown by Texas farmers. The grains are mashed, fermented, distilled, barreled, aged, and bottled on-site at the company’s ranch in Dripping Springs, Texas. The distillery uses filtered local limestone water. Because the warehouse is not temperature-controlled, the wide temperature swings of Texas weather lead to a more rapid extraction of wood flavors, leading to a rapid maturation process. The climate is different in Texas than in Kentucky (and, especially, Scotland). After some experimentation, the distillery settled on the use of American white oak #3 char barrels, and bottles at 47.5% ABV (90 proof). Nose: Taffy and buttercream up front, sweet wheat dinner rolls, honey, anise, and a persistent green-grassiness. Sweet, and unmistakably wheated. A rest in the glass makes it even sweeter, and picks up some sticky caramel notes. Palate: Silky, full body. Sweet up front as well, although it’s a tad hot even for 47.5% ABV. After the burn, some nice deep oaky sugar notes, maple candies, raw honeycomb, and resiny fresh-hewn oak emerge. Finish: Medium-long. Oak tannins abound, and the finish is far drier than I expected. A hint of charcoal and toasted white bread. Fades without evolving. With Water: Several drops of water bring out grainy, grassy, and paint-thinner notes. If you add water, you’ll want to let these dissipate. After a rest, a new vanilla note seems to have washed out the rest. It does make the finish sweeter. Water does some weird stuff here – I’d avoid it. 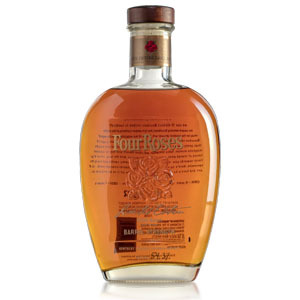 Overall: A different animal than the brand’s sourced Red Handed Bourbon. The DNA of the wheat shines through in all elements except the finish, which is oddly dry. There is a little more herbal grassiness than I like to see, which implies to me that more aging is needed. I think this shows that the distillery’s own output has inherent qualities that will lead to success down the road. 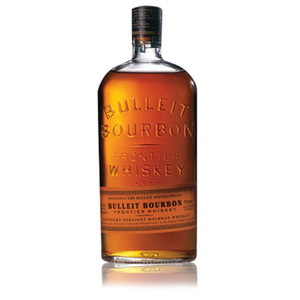 As this is craft whiskey distilled in-house, the $40 price tag is acceptable (even laudable, as some new distilleries are seeking $60 and up for young own-label bourbon). I’d like to see this take another two years of aging to shave off that grassy quality and deepen the finish, so I’m excited to experience future whiskies from Treaty Oak. 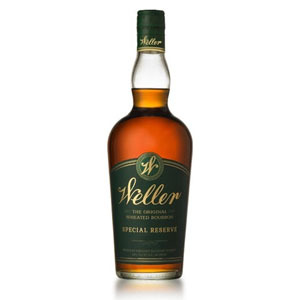 Until then, this is a “Try Before Buy” because I don’t have a “You’ll only be out $40 if you don’t like it, and can put it in cocktails anyway” category. The icon wouldn’t fit.